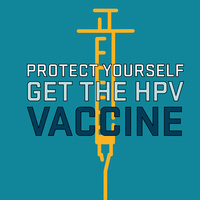 PROTECT YOURSELF, GET THE HPV VACCINE. HPV is not caused by promiscuity; it is common among individuals with few to many sexual partners. Vaccines are availble from SHS and OSU Pharmacy, so bring your student ID and your insurance card or a $35 charge will be posted to your student account.